During the past four weeks, I managed to cover a lot of ground in my project. I am now totally at ease with the OpenMRS module structure and managed to implement some of the requirements without much of a problem. I managed to finish the admin page which allows a user to upload a new integrity check into the system. The user will have to provide the check’s name, SQL query and base for failure as inputs. The user can also edit already existing checks as well as delete obsolete tests via the admin page. The ‘Run single integrity check’ feature was added during these weeks as well. From this page the user can select one of the added checks and run that to check data integrity. After a successful execution, the results page will provide some information to the user which include the number of records that failed the check as well as the records themselves and the status of the check (whether it passed or not). The user is also given the opportunity of running the check again from the results page for convenience. I also implemented the ‘Run multiple checks’ feature which allows the user to run several checks at one go. The results page lists the results of each and every execution in a tabular format which provides a good insight to the user about the integrity of the data. In the coming weeks I hope to provide another page through which the user can upload a XML file which has the information to create a new integrity check. After a brief discussion with Ben Wolfe of OpenMRS I was told the next step to take would be to create an Admin page which lists things that a user can perform on the system. The ‘things’ can include activities like adding new tests to be run, editing the existing tests or even deleting the tests. So this week I worked on getting this done. I also update the wiki page for the Data Integrity module so that it gave information about the requirements, project plan etc. This would help the community to track my progress during the coming months. After my self learning on Spring and Hibernate last week I thought it is high time that I developed a simple JSP page which read some data from the database via Hibernate and displayed them in that page. I also thought of going a bit further and allow the user to enter some data to a database table via the above mentioned page. To do this first of I created a JSP page which had a simple form through which the user can enter some data to the database. I also added a table which displayed data from the database. Then I coded the necessary mappings in the moduleApplicationContext.xml and the config.xml files. This whole week was spent on learning Spring and Hibernate to a lengthier extent. Last week I got a basic understanding about these technologies and this week I tried out some examples to get to know them a little bit better. I followed an excellent Hibernate tutorial which taught me all I knew. I guess it would be a wonderful reference for any beginner like me. I also looked at the Form entry, Id cards and Hello world modules of OpenMRS to get to know how Spring and Hibernate have been used. I noticed that the usage was fairly similar in all 3 and decided to structure my module such that it followed the same pattern. After an empty module was created the next job was to get myself familiarized with Spring and Hibernate. Both these technologies are used extensively in OpenMRS modules. Therefore I decided to do some self learning to get my self exposed to Spring and Hibernate. Using some online tutorials I learnt the basics of using the Spring and Hibernate frameworks. After that I mapped my learnings to the OpenMRS modules to see how everything is functioning. I also managed to implement a few lines of code in my empty module from my findings. Though this was the very first week of GSOC 2009, I certainly was very busy indeed. I contacted my mentor and asked how I should proceed. He asked me to first create an empty module. I managed to get this done using the OpenMRS Develoment Studio. I was also instructed to look at the existing modules ‘idcards’ and ‘formentry’ to get to know how things worked. Furthermore I received svn repo space for the module and the files can be downloaded via the URL http://svn.openmrs.org/openmrs-modules/dataintegrity. I also started a wiki page for the module this week. Google announced accepted proposals for Google Summer of Code 2009 and I was very happy to find out that my proposal for implementing a data integrity module for OpenMRS has got selected as well. This was very welcoming indeed because the proposal I sent for the last year’s programme got rejected. I should thank three special people who are behind my success. I am also very pleased to know that 5 more of my batchmates got selected for the programme. More information about their proposals can be found in Nimal’s blog. 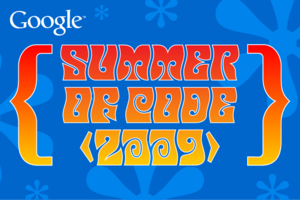 Google Summer of Code is a wonderful project carried out by the internet search giant Google and GSOC 2009 is here. This project gives students the chance to contribute to open source projects and learn a lot by doing so. I hope to take part in this programme this year and I am hoping to send a few proposals to the OpenMRS project. OpenMRS is a system which provides help to developing countries to fight major life threatening diseases such as HIV/AIDS. I got involved with the OpenMRS community for the past couple of days and I found it very interesting and exciting. I also provided a patch to fix one of their issues in the system.